Police in the Bronx say they are on the hunt for a brazen burglar who broke into an apartment where a baby was sleeping. Marc Santia reports. Police in the Bronx say they are on the hunt for a brazen burglar who broke into an apartment where a baby was sleeping only to be scared away minutes before going into another apartment on a different floor of the same building. The NYPD said the burglaries happened Friday shortly after 8 p.m. inside an apartment building in the area of Johnson Avenue and West 236th Street in Riverdale. Police say the unknown man first broke into a 32-year-old man’s apartment through a fire escape window. Once inside, he went into the bedroom where a 2-month-old baby was sleeping, police said. He searched the room high and low, but fled a short time later empty-handed after hearing the baby’s father in the living room. The baby was not injured, police said. Five minutes later, officials said the same man got into a 28-year-old woman’s apartment in the same building through a fire escape window. Once inside, he stole the woman’s jewelry, a bicycle and a backpack, cops said. 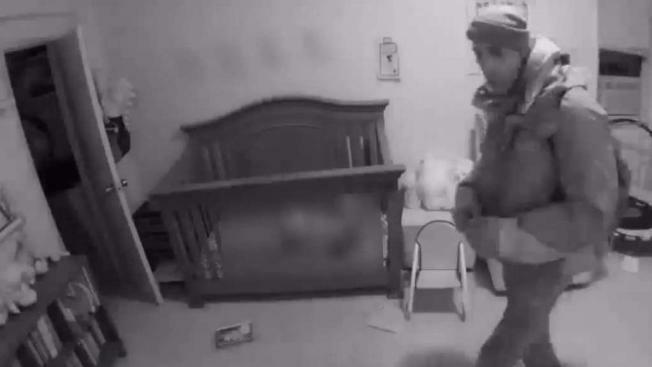 Jarring video released by the NYPD shows the man scavenging around the baby’s room. Tracie Strahan reports. Authorities said he then fled the area and hasn’t been seen since. 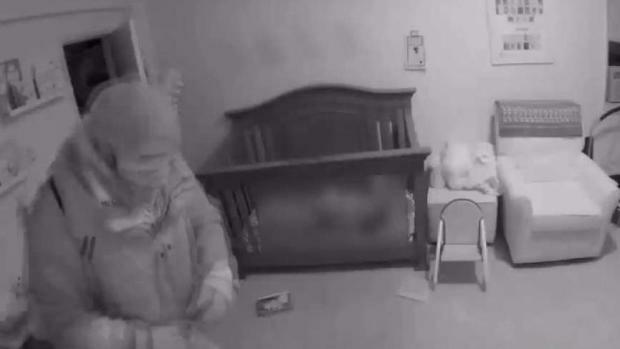 Jarring video released by the NYPD shows the man scavenging around the baby’s room. Witnesses are urged to call Crime Stoppers with tips.